CD Projekt RED has a clever way to make opening card packs more exciting. 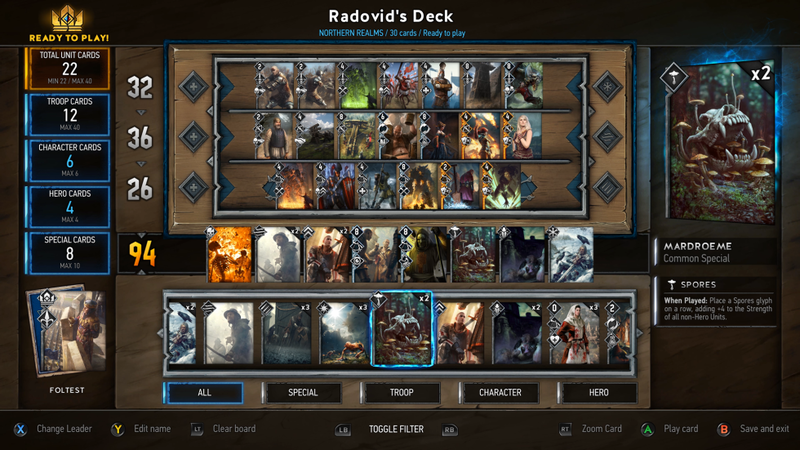 We have enough reasons to be excited for Gwent: The Witcher Card Game – including its ten-hour single-player campaigns – but CD Projekt RED wants randomly-generated card packs to be appealing as well. Most collectible card games let you purchase packs, only to keep handing you the same rare cards you’ve already discovered. Gwent’s solution? According to Eurogamer, you’re to be allowed to select which rare card you get. Anytime you open a Gwent card pack, you’ll be presented with three rare or better cards. The player then chooses which card they want to keep, while the others are discarded. Each pack also comes with another four cards chosen randomly. 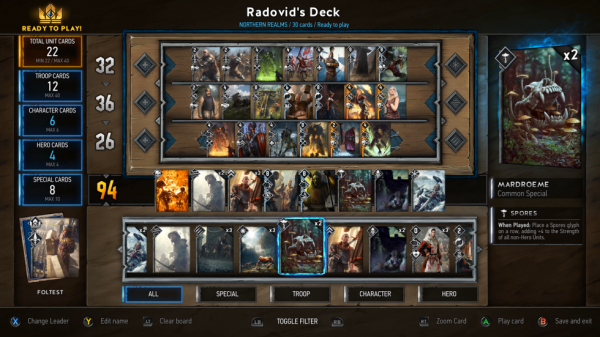 “We have our own thoughts about card games in general, and we felt this innovation would reduce the frustration you sometimes get if you get all the cards you don’t want to have,” principle narrative designer Mateusz Tomaszkiewicz explained, speaking to Eurogamer at E3 last week. Players love Hearthstone, but it’s certainly true that opening card packs loses its appeal when you’ve collected the exact same cards a dozen times over. Gwent’s solution may be a stopgap, but a brilliant one that gives everyone more options for a longer period of time. Now we have even more to look forward to when Gwent’s closed beta begins in September 2016.